Know the location of the website's server using Flagfox for Firefox. 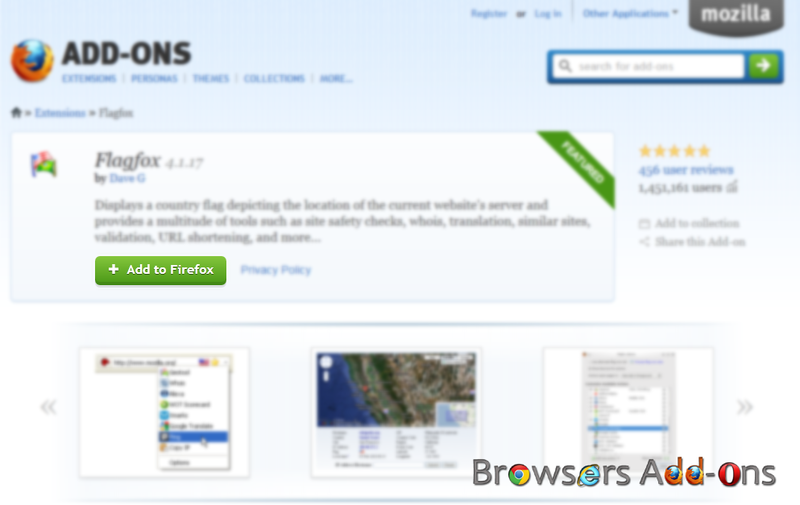 Flagfox is a Mozilla Firefox addon (extension) which helps user to know the server location of the website. Apart for location service, Flagfox is loaded with other statistical tools like whois, site saftey checks, URL shortening and many more interesting features. 1. Go to Flagfox addon page, or click on the above download link and click on “Add to Firefox“. 2. Now, Firefox ask user permission, click on “Allow“. 3. 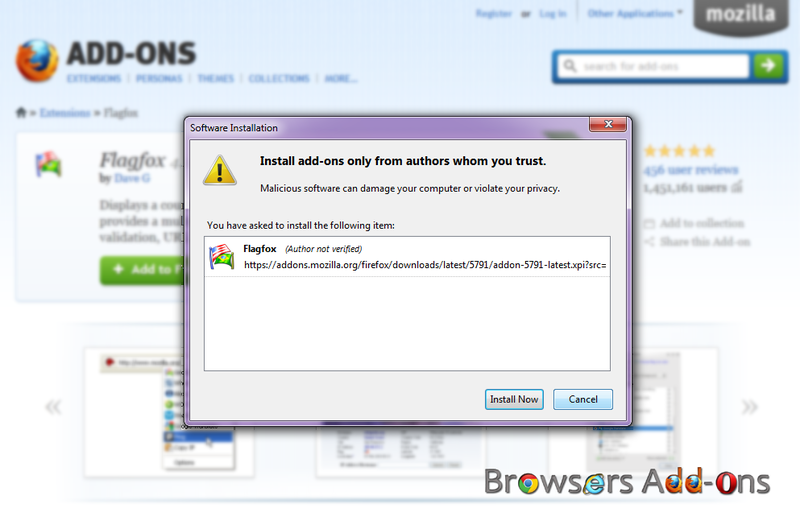 Flagfox Installation box pops-up, after three seconds click on “Install Now” to add addon to browser or “Cancel” to stop installing addon. 4. 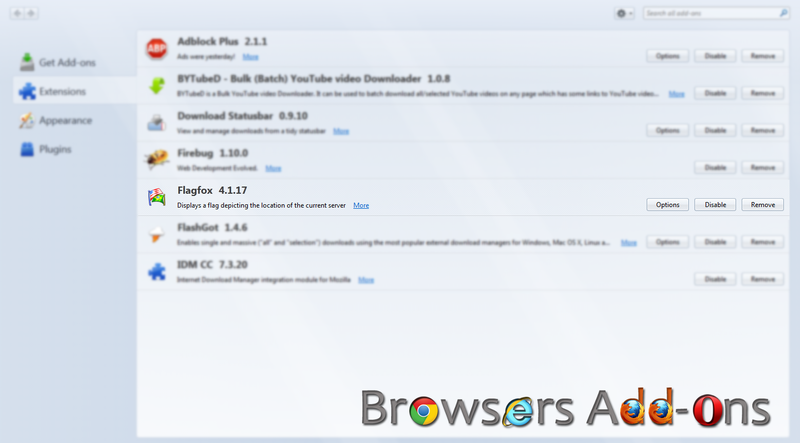 Now, Flagfox ask user to restart the browser in order to activate the working of addon, click “Restart Now“. 1. Now, you can see the country flag beside star icon (Bookmark icon) when ever you open a web pages. 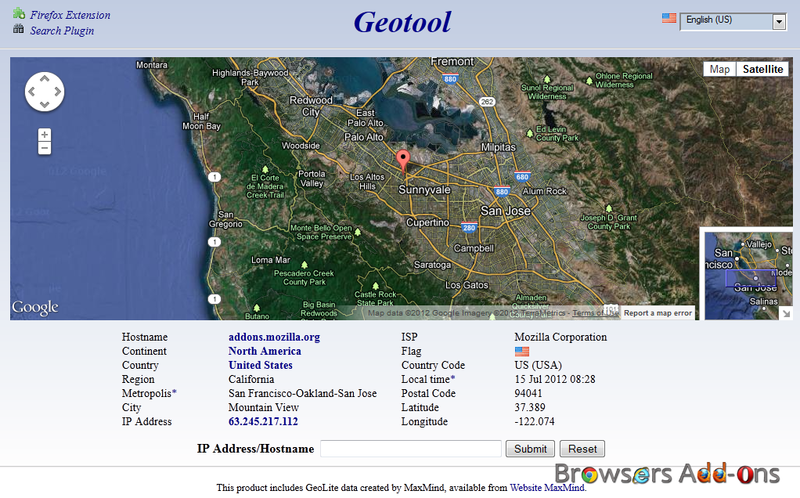 Hover the cursor over the flag icon to know more about the server location data. 2. Clicking on the flag icon, Flagfox forwards to Geotool, showing the server location on Google Maps and much more data. 1. 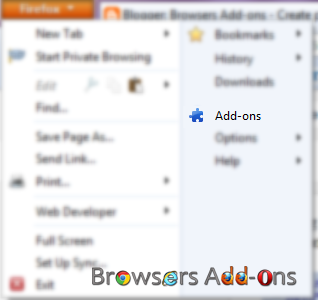 Click on the Firefox located at left upper corner of the web browser and go to “Add-ons”. Opera buys Skyfire, a popular Mobile based browser for deep mobile penetration and monetization. Fetch and ‘Subscribe’ RSS feeds directly from Firefox browser button. Next story Manage multiple Gmail accounts right from the browser tab using Gmail Manager for Firefox. How To Use Google Chrome As Notepad.